Peanut and Sass (5, 3) and their cousin, Fro (3). The girls told us the story of the Goodbye Chicken on a Sunday morning after their first trip down the aisle as flower girls. This short tale–and subsequent story arc (as the adventures of the Goodbye Chicken are frequently used to coax picky eaters through dinner at our table)–has stayed with us ever since. The call and response at the end leads to giggle fits every time. The Goodbye Chicken once lived in a house made of corn. He was, and still is, hungry all the time. So hungry that he ate his own house and now he just walks around town all day looking for snacks. 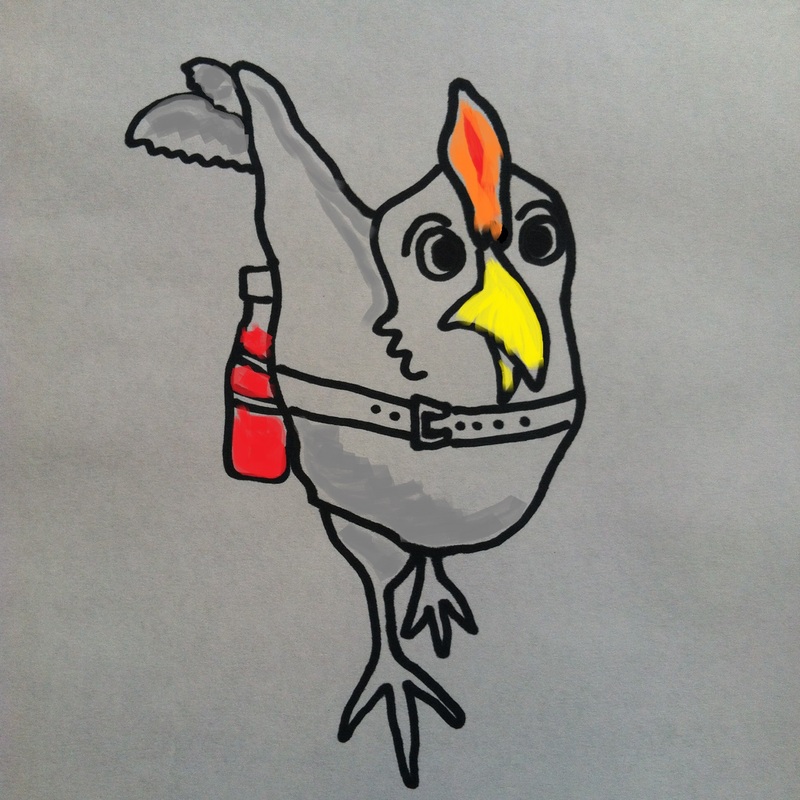 He carries a ketchup bottle in a belt around his waist because…well… everything tastes better with ketchup, doesn’t it? When you see the chicken, you might want to say hello. But DON’T.